His interest in Aleister Crowley was generally just there because of his interest in magic and the occult, but he did try to study his books and his system of magic, but he found it quite difficult to understand it. 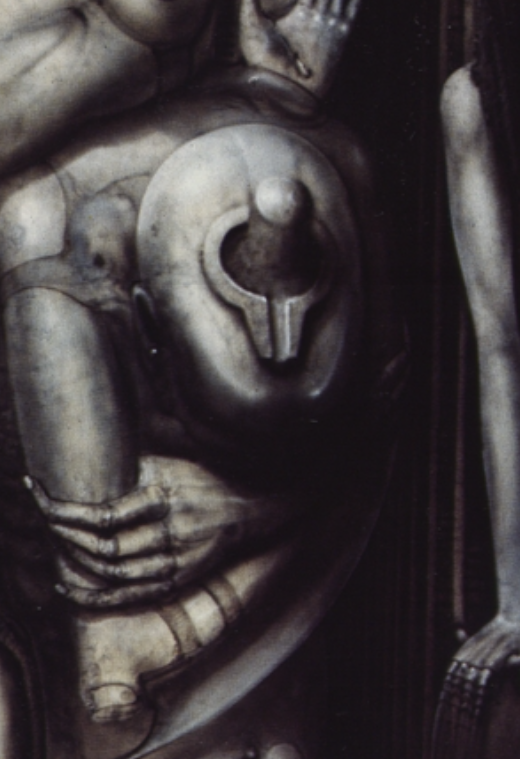 However Giger was interested in what kind of paintings the man made, but it was many years before he was actually able to see them. He managed to get a copy of the catalogue produced for the Crowley art exhibition that was held in London in 1998 and a catalogue for the Berlin exhibition in 1932. Most of the works he'd seen were portraits of Crowley's friends who he made look very evil. 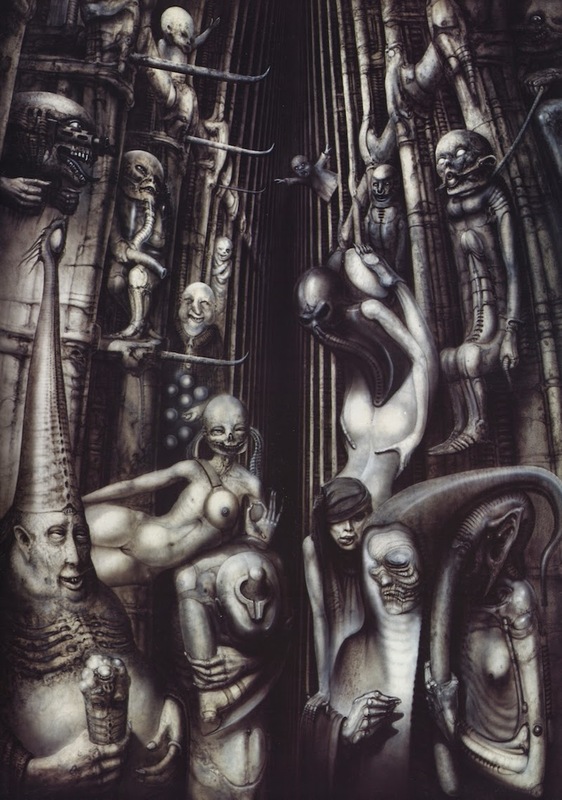 The paintings of the ladies were also very terrible looking, which was very different from the way that Giger did his, as beautiful goddess. The main focus of this painting is Aleister Crowley whose portrait dominates the left part of the painting, based on an elderly photograph of him when he created a sensation with his exposition of paintings at the Gallery Pforzheim in Berlin. 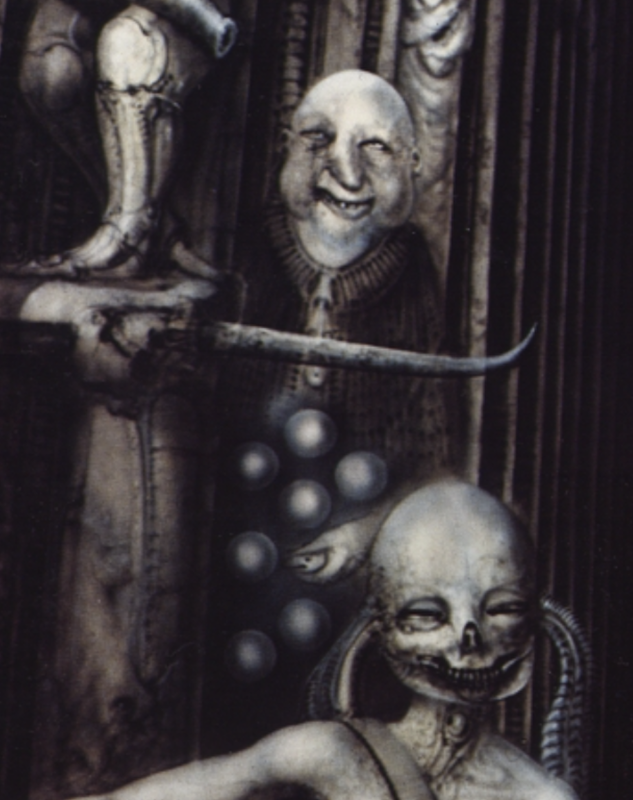 The pointed hat , Giger was able to state, represented Crowley's first ascent of the K2 mountain in the Himalayas, and in his hand is an ice cream cone which is an inverted version of his hat with a humanoid face on it, representing Crowley's dogma, such as "belows as above" or "Macro-Microcosmos". Next to the Crowley figure is a humanoid facing down and upon the top of his head is a traditiona shivalinga, a representation of Shiva the hindu deity to be worshipped in temples. 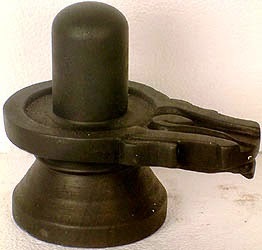 In traditional Indian society, the linga is rather seen as a symbol of the energy and potential of God, Shiva himself. And this became an interest in Crowley's occult practices. The popular belief is that it represents a phallus and then obviously it looks as if there is a vaginal shape around it, but according to Swami Sivananda, this interpretation is a grave blunder and the shape is supposed to represent an egg form rather than the phallus that it has often be interpreted as. He made the visit to the Meenakshi temple, Madurai, to see the sacred Shivalingam there. out from the wooden bunks in which they slept three to a "bed."